A new video that shows a nearly 6,000lb killer whale thrashing his SeaWorld trainer for a heart-stopping 15 minutes has been released. The 2006 video was released as part of the on-going litigation against the theme park by the US Secretary of Labor, who alleges SeaWorld has endangered scores of its trainers by exposing them to the dangerous whims of the enormous whales. 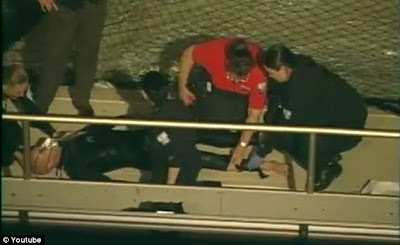 Kasatka's attack on San Diego trainer Ken Peters eerily foreshadowed the death of trainer Dawn Brancheu in Orlando, who was butchered in February 2010 by another killer whale named Tilikum. The video of the 15-minute ordeal has only now been posted online after it was presented at a Occupational Safety and Health Administration court hearing in September. 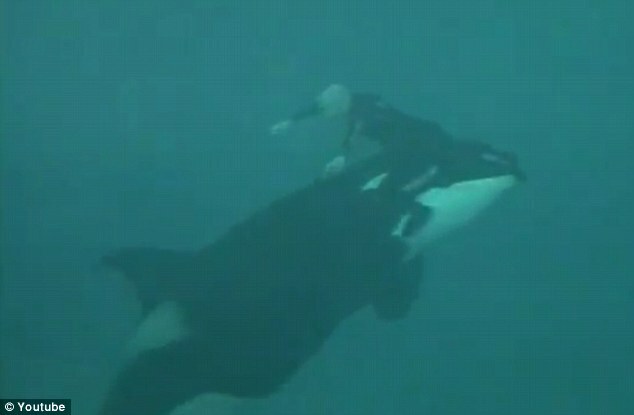 In the video, Kasatka grabs her trainer's foot and will not let go, dunking him under the water for extended periods of time. Mr Peters, who remains eerily calm, finally manages to free himself, only to have Kasatka charge him over the barrier net. According to the book Death at SeaWorld, this was the third such time Kasatka attacked, horrifying trainers and audiencegoers alike. 'She grabbed his ankles, pulling him underwater for several seconds,' David Kirby writes in the book. He describes her actions as the calculated instincts of a killer. 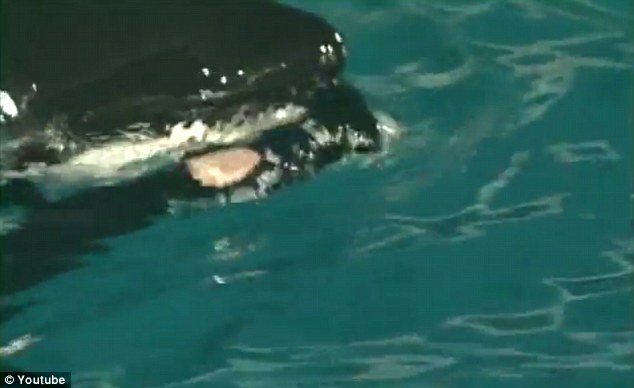 'Then, slowly and deliberately, as if performing a bizarre underwater pas de deux, the whale began to spiral upward with Peters’ foot in her mouth,' he said. 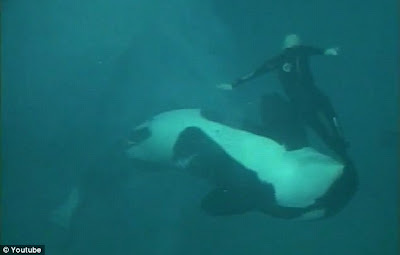 Mr Kirby notes that Kasatka was careful to keep Mr Peters in the middle of the pool and away from the other trainers trying to rescue him from the edges. 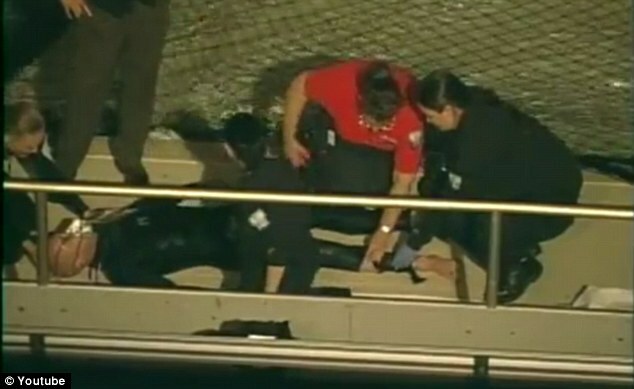 At the time, SeaWorld tried to downplay the incident. 'There are times like this. They are killer whales. She did choose to demonstrate her feelings in a way that was unfortunate,' Mike Scarpuzzi, head trainer at SeaWorld, said at the time.